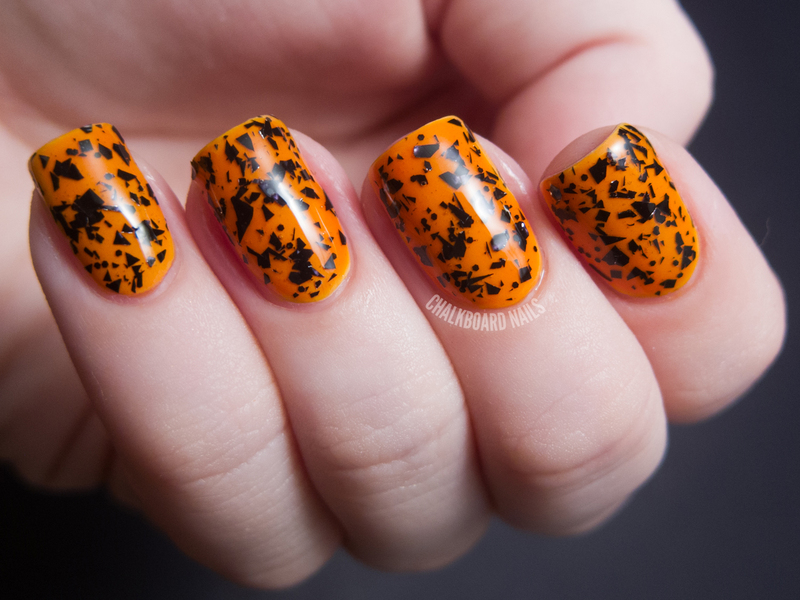 Today's post is an exciting Limited Edition Halloween duo from Cirque called All Hallow's Eve. The duo consists of two colors, Kabocha, an orange glow in the dark jelly, and Neko, a shredded black glitter topper. Kabocha is fairly sheer. This photo shows four coats of it alone. Thankfully the formula is on the thin side, so four coats doesn't feel or look like a lot on the nail. It dries semi matte but can be made shiny with the addition of topcoat. Here's a photo of the glow! Since the base is orange, the color of the glow is a bit altered. It's almost...a dusty green glow? I'm not sure how to best describe it. The glow effect is visible but not ultra strong. This is also probably due to the orange base (since glows work better when combined with lighter colors). Here I've shown two coats of Kabocha over white. If you don't want your nail line to show, or you want to use less coats, you can layer! I had to do some post processing to correct the color of this one, and it's still not quite right. It's a bit darker than what I've been able to show here. 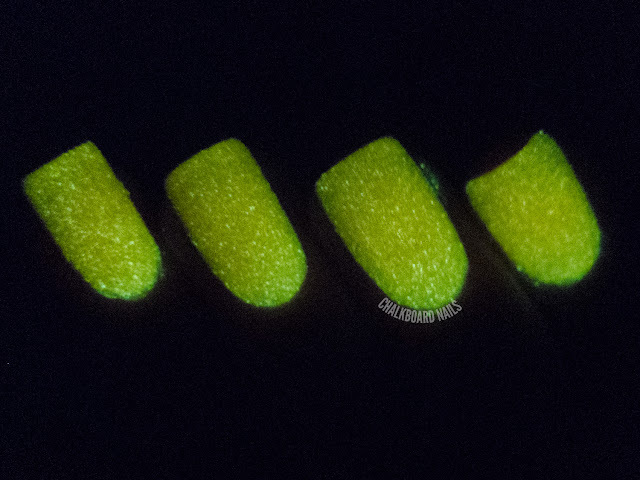 Layering the polish over a light color also makes the glow brighter. Neko is basically my dream polish. It's a black glitter topper with shreds and various small shapes of glitters. This is one coat of Neko (plus a bit of spot filling) over Kabocha layered over white. I found that it applied really easily. It's super dramatic and fabulous. 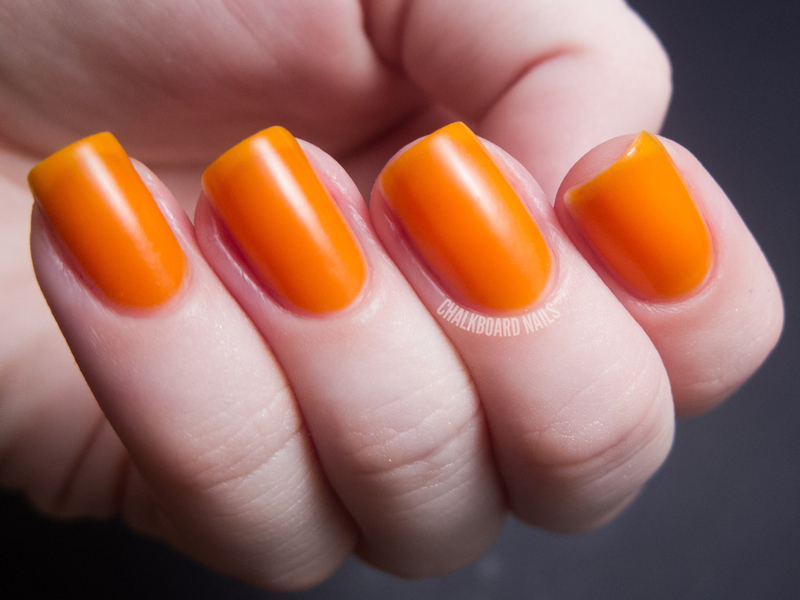 The All Hallow's Eve duo polishes retail for $12 each and are sold at www.cirquecolors.com. They are lightly scented with lavender and clary sage oils. Remember, they are Limited Edition, so if you want 'em, don't hesitate! You can also find Cirque on Facebook. The products in this post were provided for review. Don't miss the giveaway after the jump! Cirque has generously offered a set of these polishes for a giveaway! Must be a follower of CN in some form to win. Please use the Rafflecopter widget below to enter this giveaway. Giveaway ends September 10, 2012 at midnight. When a winner is selected, they will have 48 hours to respond and claim their prize. If they do not respond within the given timeframe, a new winner will be selected. Open internationally, excluding Brazil and Italy for shipping reasons. Prize will be shipped directly from Cirque. My name is Ashley pashley. Thank you for having this giveaway!!!!! Wow! Thanks for posting this, I totally forgot that they went on sale today! I just picked up Neko. So excited!! Your glow in the dark pictures came out great!!! P.S. I have Cirque Epoch and loooove it, I'd love to e able to have more Cirques! beautiful colors and swatches...as always! thank you so much for this giveaway! Ahhh, thanks for the simple and straightforward giveaway :) It's always nice! I love it! Love the glow in the dark effect. 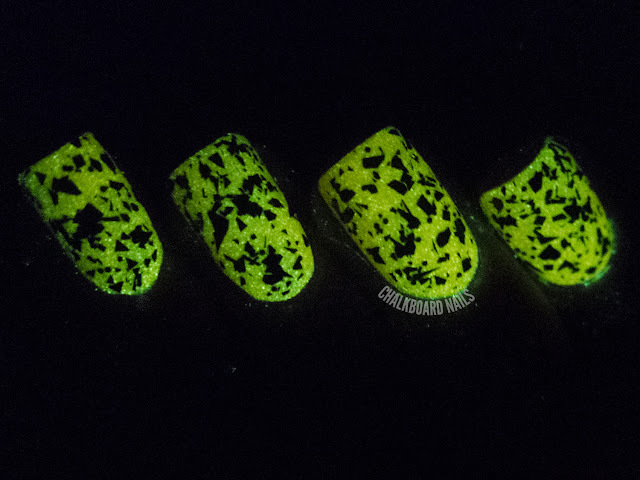 I love glow in the dark polish ;) Thanks for the giveaway! Wicked cool. I love the look! Oh my god, Ive never wanted to win a contest moreso than this one I think! these are gorgeous! I loved neko, the top coat with the shredded glitters. I would LOVE to have it! i like it. so beautyful. 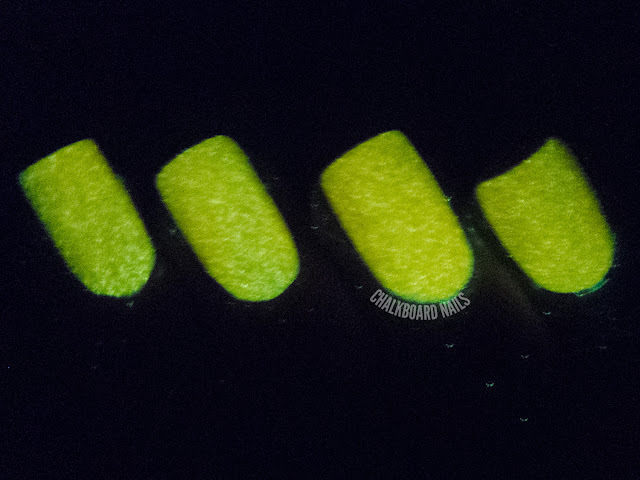 I LOVE THE GLOW IN THE DARK i agree too, black glitter topper on glow in the dark is so good! Looks awesome, thanks for the chance to win. And making it easy to enter. I shared it on my blog too!